Regrettably, few professionals are educated and proficient in this decidedly specialized planning arena. The consequence of a poorly designed plan can be disastrous for these children and their families. The best outcome in planning can be accomplished by a combination of professionals well-versed and informed in the many nuances that must be considered in special needs planning. What is a Special Needs Planner? When a professional is a specialist, they have to be somewhat of a generalist first. A comprehensive financial planner is educated and trained in all segments of planning, including investment management; tax and retirement planning; tax planning; and estate planning. Many financial planners focus only on one or two of these areas of planning, such as insurance or investments, which may not always provide a comprehensive approach in planning. Planning for special needs families requires specific knowledge of all areas of planning, but additionally, government benefits, various disabilities and diagnoses, estate planning laws specific to special needs, and strategies to fund special needs trusts. Some financial planners have been inspired to focus on this area of need due to a personal experience in having a family member or a friend with disabilities. Some simply see that there is a great need for this service and have decided to pursue helping this population. Dealing with such emotional and life-altering topics related to special needs care requires that your planner be patient, compassionate, and dedicated to working in you and your families best interest at all times. What are Some Designations To Look For? Qualified financial planners have a designation in financial planning, such as being a Chartered Financial Analyst (CFA) or Certified Financial Planner (CFP®). There is also the designation of Chartered Special Needs Consultant (ChSNC®), which offers very specific education and training related to the unique situations that families with special needs face. Maintaining these designations require a planner to engage in continuing education to stay abreast in the current knowledge base in this area of planning. Also, It’s essential to know if your planner is a fiduciary or not. As a fiduciary financial planner, your planner does not accept any commissions for selling or recommending products, such as from banks or insurance companies. This is important because when you are working with your advisor and creating a plan that is the best for you and your family, you do not want your planner to have his or her advice swayed by potential commissions. Your planner should be working for you and only you. It’s simple enough to find out if your planner is a fiduciary by asking if they have signed a fiduciary oath. * To reiterate, experience matters. How long has the advisor worked in the financial industry and in the special needs planning area? *Does the advisor have a designation like CFA/CFP®/ChSNC® and training in special needs planning? *Is the advisor a work alone or does he/she have access to other professionals that can also compliment the special needs planning process? *Is the planner affiliated with that company required to sell proprietary products? *Does the advisor use a holistic, comprehensive approach, and is he/she able to address all areas of your planning? *Is the advisor knowledgeable on state Medicaid issues, government benefits, various disabilities, as well as possible changes in the laws that are would affect special needs planning? A financial planner specializing in special needs planning will be a “touchstone” of sorts for the family, assisting them through the various stages of life. When selecting a planner, make sure to select someone that you feel your family has a rapport with and with whom you can have an ongoing relationship. A significant component of special needs planning is a special needs trust as well as other estate-planning documents for parents. A special needs trust has language specifically set forth to protect a child’s eligibility for government benefits and is coordinated with financial and legal planning with the parents and other family members, if applicable. 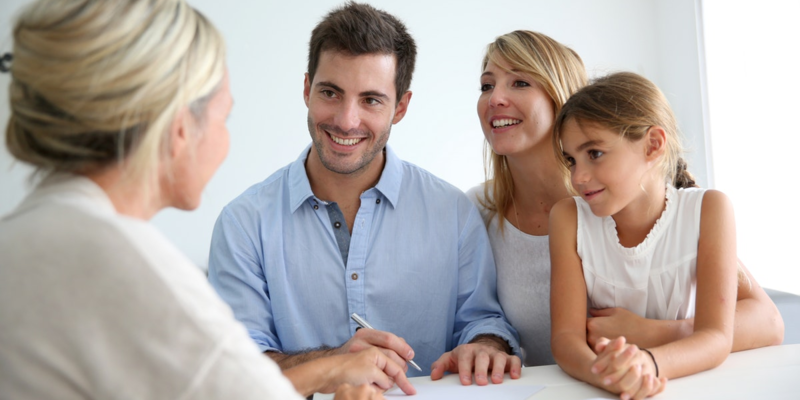 Selecting the correct attorney is as vital as choosing a qualified financial planner. Both professionals, working together as a team, can create a comprehensive plan for the family. Financial planners that specialize in serving families with special needs likely already have relationships with quality attorneys working with this population. It is a good idea to begin the process with your financial planner and have him or her help you coordinate legal services with a qualified recommended lawyer. The National Association of Personal Financial Advisors (NAPFA): It’s important to understand the importance of having a non-commissioned planner on your side during this process; make sure you are dealing with a fiduciary, fee-only advisor. Your advisor should not have conflicts of interest when it comes to recommendations and actions taken on behalf of your family. NAPFA is an organization of skilled professionals who are committed to working in the best interests of their clients at all times. Every advisor must sign and renew a fiduciary oath annually and subscribe to a specific code of ethics. The Academy of Special Needs Planners: This organization is for skilled financial planners, attorneys, and trust officers. The organization helps its professional members bring the highest quality of advice and service to their clients with special needs and their families. The Academy supplies its members with the most up-to-date information on national legal developments and a forum to exchange best practices for serving persons with special needs. The Academy also provides its member professionals with the education and tools needed to increase their comprehension of some of the specific challenges and tasks that are common in special needs planning. The National Academy of Elder Law Attorneys (NAELA): Many attorneys that focus their practices in the area of special needs also specialize in the field of elder law because of their likeness in planning laws. The group conducts many annual educational and training programs nationally. It’s possible that some families may need extra consultation time from an attorney if more intricate estate situations are involved such as business succession planning, divorce planning, or charitable planning. A good approach is to lean on your financial planner and allow him or her to coordinate with other necessary professionals. It’s also imperative to the success of a plan that it is kept current and updated with any changes in family situation or law. For more information on this topic or to explore other financial content topics, visit our blog. If you would like to schedule your complimentary, no-obligation discovery call with FamilyVest, contact us today.